Click the button below to download the latest version of eBoostr. 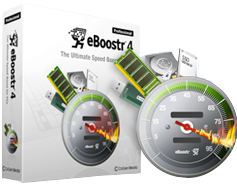 If you already own eBoostr 4 then it will automatically update to the latest version when you install. If you are a first time user then you'll automatically start your trial period. Trial users have 2 hours per computer restart to evaluate eBoostr. You can sign up in the application for an unlimited 15 day trial.